Ready to kick things up a bit? 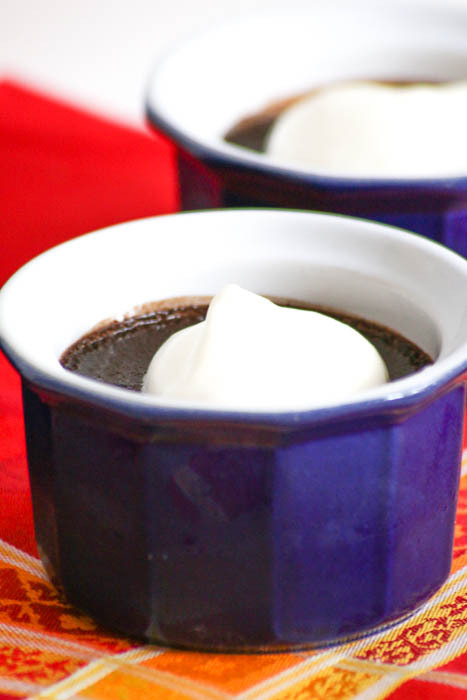 I’ve got you covered, with Chile-Spiked Chocolate Pots. Actually, Judith Finlayson is really the one behind this wonderful dessert, thanks to her new cookbook, The Chile Pepper Bible: From Sweet & Mild to Fiery & Everything in Between. I jumped at the opportunity to have a sneak peak at Judith’s book, especially after seeing the name of this recipe. Chile-Spiked Chocolate Pots calls for aleppo pepper which I had a challenge finding. Fortunately, a pinch of cayenne pepper may be substituted. The recipe is a breeze to put together. It literally took me 15 minutes before the custard cups went into the oven. Don’t forget to place the cups into a large baking pan and fill it halfway with boiling water first. Once the pots were done, I cooled them completely on a cooling rack and then let them get cold in the refrigerator for several hours. That was, actually, the most challenging parts because I wanted to dive right in. The end result is a very rich fudgy dessert and I loved the hint of heat from the cayenne pepper. I must admit that I am equally happy eating my Chile-Spiked Chocolate Pots with or without whipped cream so if you do not have the time to make it, no worries. You will still have a decadent dessert! Chile-Spiked Chocolate Pots is just one of the many wonderful and tempting recipes in Judith’s book. Charred Romaine Salad, Shrimp Creole, Chicken and Sausage Jambalaya and Creamed Summer Corn with Chile are top on my ‘must try next’ list. Order your own copy so that you can kick things up a bit in your house. Click on the following links to buy your very own copy of The Chile Pepper Bible: From Sweet & Mild to Fiery & Everything in Between by Judith Finlayson as well as a set of ramekins and a set of fine mesh strainers. Follow Judith on Instagram, Pinterest and Facebook for more tips on using chile peppers! I received a complimentary copy of Judith Finlayson’s The Chile Pepper Bible. The opinions expressed herein are mine and are not indicative of the opinions or positions of Judith Finlayson. 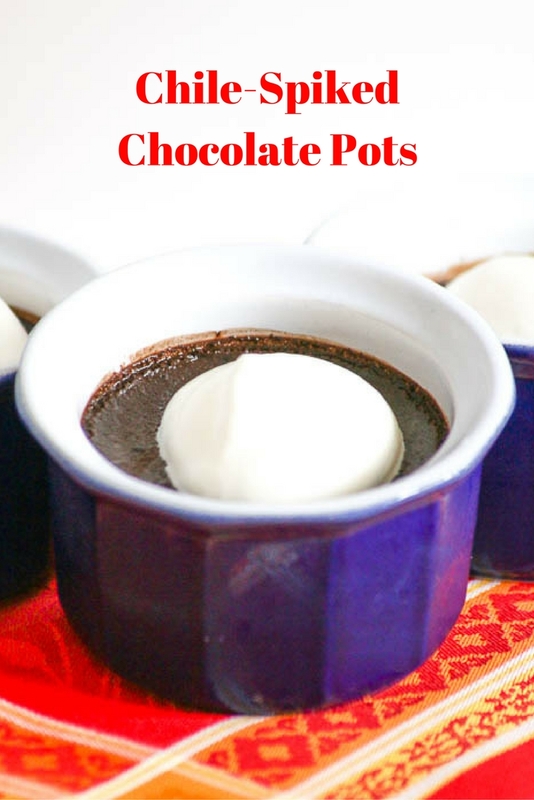 I’m so glad you enjoyed the Chile Spiked Chocolate Pots and that you found them easy to make. May the rest of your journey through The Chile Pepper Bible be equally pleasurable. I’m so sorry I did not respond sooner! I did not see your comment until just now. You are so sweet to take the time to stop by. I LOVE your book and can’t wait to eat my way through it! I am confident that each recipe will be as delicious as the Chile Spiked Chocolate Pots. These look fabulous, and I am eager to get this book and check out more recipes. This looks like a gorgeous holiday recipe — looks fancy but doesn’t take forever to make. 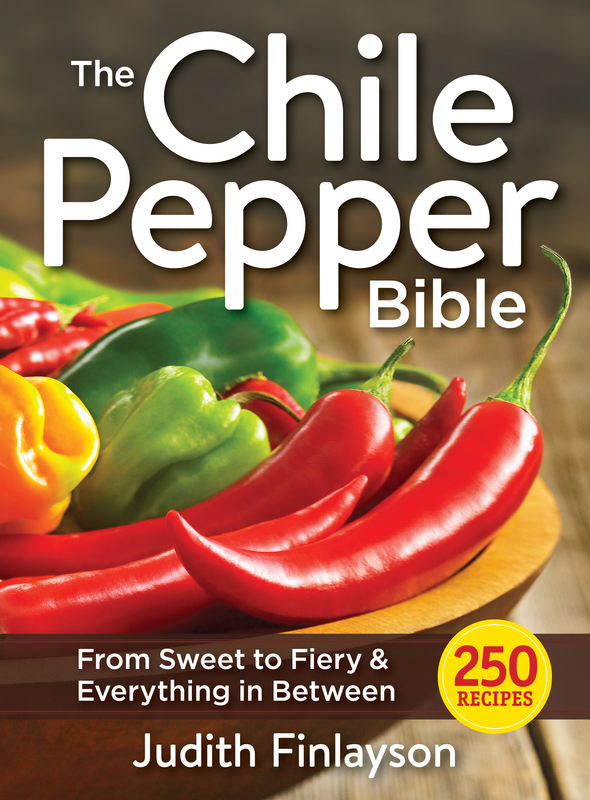 You are going to LOVE The Chile Pepper Bible! 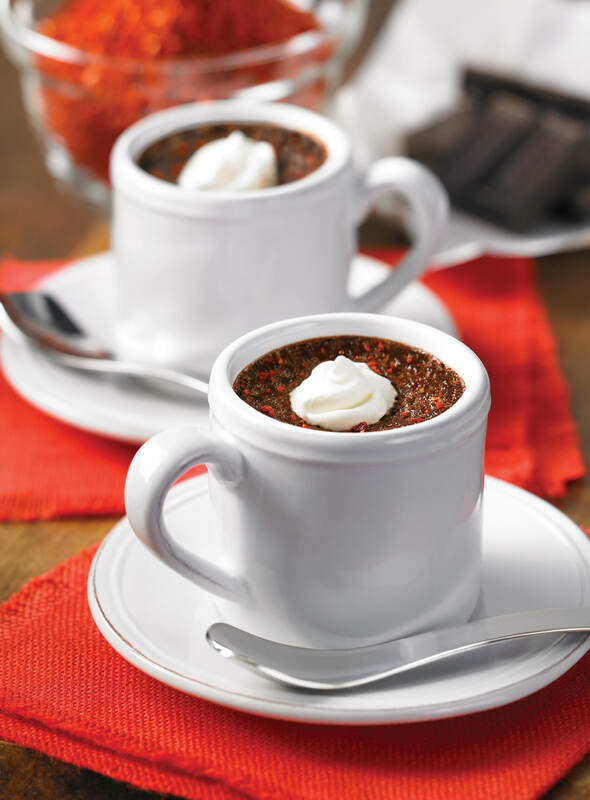 You are correct about Chile-Spiked Chocolate Pots…..they do look fancy but are a breeze to put together!